Chaparrals In Nevada, Toranas In New South Wales: Stardust Grand Prix '66, Bathurst '75! Scroggs just keeps finding us the great vintage racing videos! How about the final race in Can Am's first season, followed by the Hardie-Ferodo 1000 at Bathurst? First we get some insane Can Am action in Rat Pack-era Vegas, with the Stardust Grand Prix. We can only hope that the sports books saw plenty of race bets laid down. 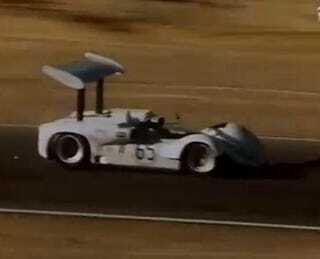 Would you have bet on the Chaparral 2E to win? Then we'll jump forward 9 years and to the Southern Hemisphere, as we watch Falcons and Toranos fight for dominance in New South Wales. No limits on spectator beer supply at Bathurst back then!